At the beginning of June, Zach and Friso went to Rwanda to explore the possibilities for TAHMO. Together with Norbert van der Straaten and William Mwangi they met with the Rwanda Meteo Agency where they discussed the possibilities for collaboration. The Rwanda Meteo Agency already has 42 weather stations operational, which is more than TAHMO’s guideline of 1 every 30 km. However, because the geography of Rwanda is predominantly rolling hills, more might be required. Preparations are made to sign an MoU between both parties. Furthermore, the TAHMO group visited the Gashora Girls Academy for possible implementation of a weather station and to explore the possibilities of hosting the VIA Water business development workshop. The school is the best middle school in Rwanda, with state-of-the-art facilities like a large farm, on site accommodation and fast and stable IT capabilities. Students on this school are encouraged to excel and the goal of the academy is to send one third of the students to top universities in the world (e.g. Ivy league). The academy proofed to be a perfect location for the weather station, and the staff was enthusiastic to assist in hosting the workshop. 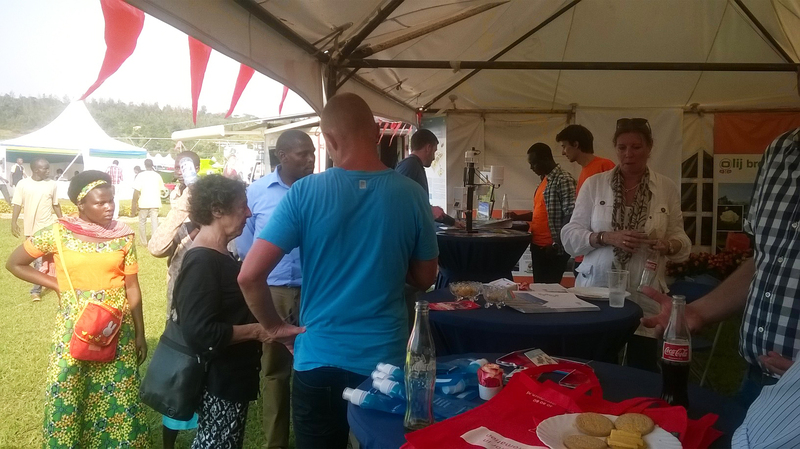 Finally, TAHMO was present at the Kigali Agricultural Show of 2015 at the Dutch Pavilion (Holland Paviljoen). Here, farmers and interested local and regional institutions were introduced to the TAHMO concept and the TAHMO weather station. Rwanda shows great opportunities for TAHMO to vastly expand the network of weather stations and weather data in Africa.